International collusion at every level. 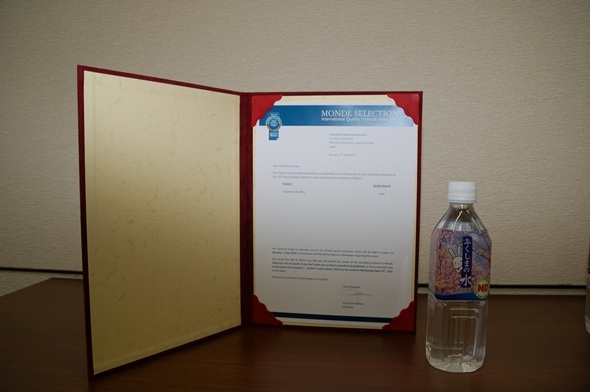 Fukushima tap water is named “Fukushima water” by the city government and obtained “Monde Selection” in 2015 and 2016 for its taste. 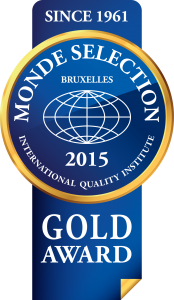 Founded in 1961, Monde Selection’s mission is to test consumer products and grant them a bronze, silver, gold or grand gold quality award. BRUSSELS – Belgian power utility Electrabel restarted an aging nuclear reactor Tuesday after a near two-year shutdown, angering neighboring Germany, which fears the danger of a Fukushima-style meltdown. Electrabel said it put the Tihange 2 reactor back on line “in complete safety,” despite opposition from officials in adjacent North Rhine-Westphalia, Germany’s most populous state. Belgium has been hit by a series of nuclear mishaps in recent years, with three of the country’s seven reactors at one point closed, due in two of the cases to the discovery of micro-cracks in the reactor casings. The Belgian nuclear authority gave the greenlight to relaunch Tihange 2, as well as another reactor near Antwerp, in November, giving Electrabel permission to operate the plant until its legislated final closure date in 2023. Garrelt Duin, North Rhine-Westphalia’s economy minister, had warned strongly against the relaunch of Tihange, calling it outright “irresponsible. Four of Germany’s 10 biggest cities — Cologne, Düsseldorf, Dortmund and Essen—- are located within the state. The city of Aachen, only 60 km (40 miles) from Tihange, said it had explored legal options to stop the reopening but without success. Germany, unlike Belgium and France, decided to phase out what was a substantial nuclear energy program after the 2011 disaster in Fukushima. At the time, Belgium also committed to a withdrawal from nuclear power but has since scaled back its ambitions due to a lack of reliable alternatives. Posted under the tab “What we can do; Working with Water” is a suggestion from Tom Kenyon for creating healing water for oneself. Let’s take this idea and expand it much, much further. Allow some time before the exact moment of Solstice. Create a sacred space for this. Be aware of yourself, your breathing, your body, and where you are. Spend some time being thankful for yourself. Hold Japan and its surrounding seas in your hands. Bring your love and healing from every part of your being, to your heart and then down to your hands, to Japan — to all the people, all the living beings, all the waters there, the sky, the land, and the surrounding ocean. Hold the Pacific Ocean, from shore to shore, between your hands. Bring down the wisdom and beauty and love from the highest part of yourself to the deep goodness of your heart. Then let that flow down to your hands and to the ocean. Spend time doing this. Then, hold the Earth in the same way. Send that healing and love from all of you, coming to your heart, then flowing down your arms to your hands to the Earth. As the Solstice takes place, join in your imagination with all of us as we focus our love and gratitude and healing power on our beautiful Earth. The solstice time is 10:51 UTC on June 21. Imagine what many of us together, all over the world, can create with our love, thankfulness, and healing energy at that time. I am sending this with love and gratitude to you who care.